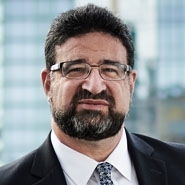 Neil Shapiro concentrates his real estate practice on sophisticated commercial real estate financings, joint ventures, sales, acquisitions and development. A significant portion of Neil's practice involves acquisitions, sales, financings, development, joint ventures and leasing of health care related projects, including continuing care retirement communities, assisted living facilities, nursing homes and hospitals. Neil prides himself on his personal service and responsiveness to the needs of the clients he represents. Neil has been recognized since 2014 by Thomson Reuters' Real Estate Super Lawyers, which identifies lawyers who have achieved a high degree of excellence and professional achievement. Prior to joining Herrick, Neil was at Weil, Gotshal & Manges.